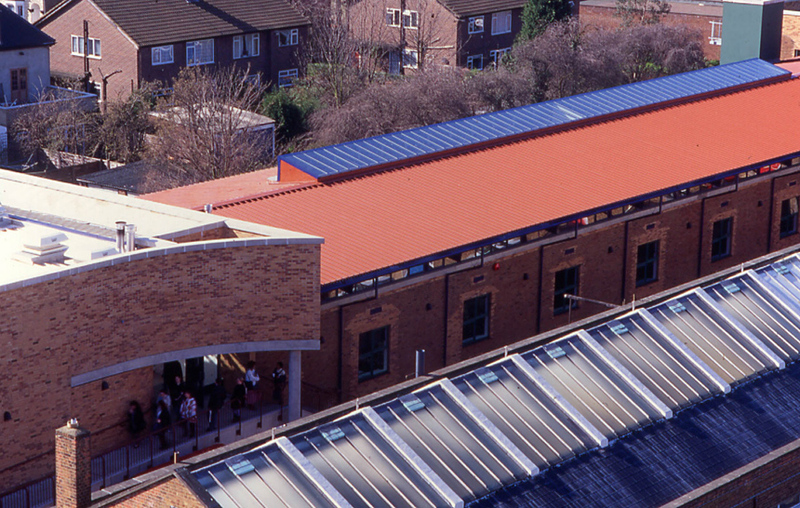 Located at the University’s Enfield campus, this project involved the transformation of a redundant single-storey engineering workshop. A new first floor was added with a generous over-hanging roof and repetitive plan containing teaching rooms and staff office accommodation. Windows were punched into the existing ground floor walls to create a strong rhythm, echoed by the projecting roof structure above. 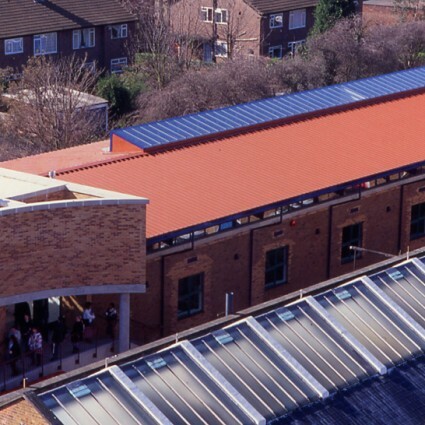 This central linear element is “book-ended” by a children’s nursery and laboratory at one end and a new-build, raked lecture theatre with adjacent foyer at the other. The latter is constructed with load-bearing brick diaphragm walls, which form a strong mass broken by the sculptural overhang to the raised entrance foyer. Internally the long central corridor gently waves in plan to create break-out space alongside teaching rooms. "... a striking, cost effective, low maintenance scheme incorporating a high degree of usable space allowing flexibility in the future should our needs change."